Hi Friends! Happy Wedding Wednesday (and hump day)! I never really understood why people celebrated hump day, but now that my schedule is much more routine, I totally get it. Who else thinks the work week should only be 4 days long? Anywho, today I wanted to show you some photos of our gorgeous venue. 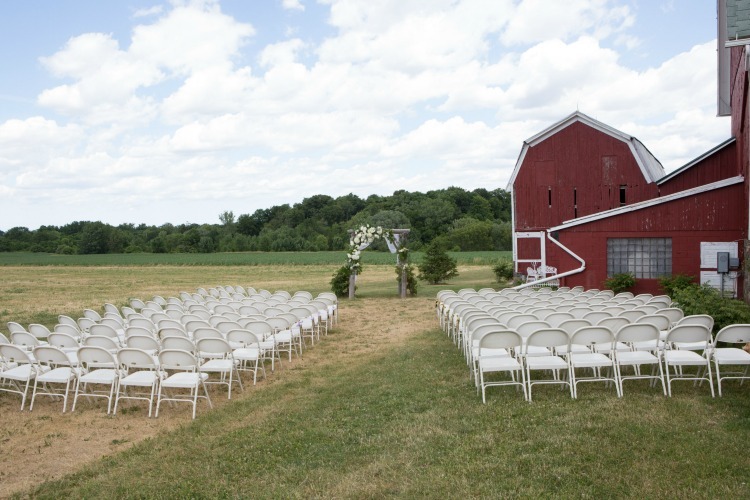 We got married at the Wingate Barn, in Livonia, NY. 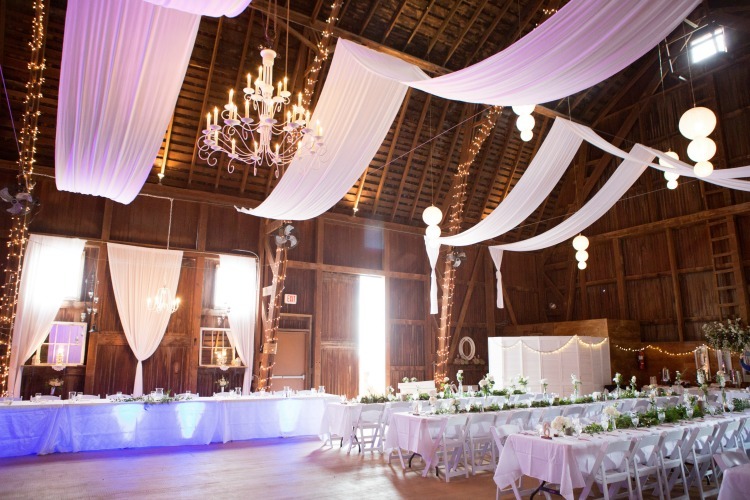 I knew from the time we started planning that I wanted a rustic venue, without the "rustic" accessories like burlap. We also wanted to get married outside, and have the ceremony and reception at the same place. The Wingate Barn could not have fit the bill better. It is a beautiful space that was able to be pretty customized to our event. 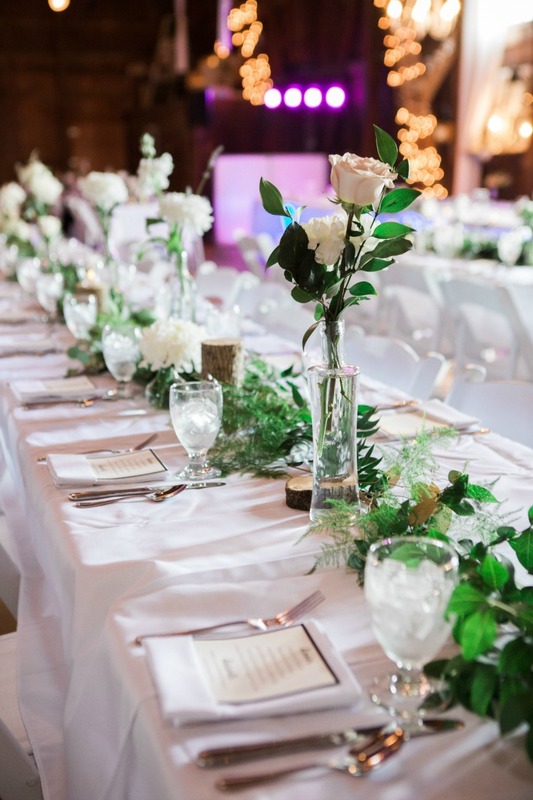 Both the staff of the barn and the catering staff (Partyman Catering) were beyond accommodating, and I felt like they actually cared about us and our day. One of the plus sides of renting this venue was that it came with all tables, chairs, some decor, and all staff in the rental price. For a guest list of 210 people, that was awesome to see, and I think a big savings. They also set everything up for us on Friday, so that I could see it all ahead of time. 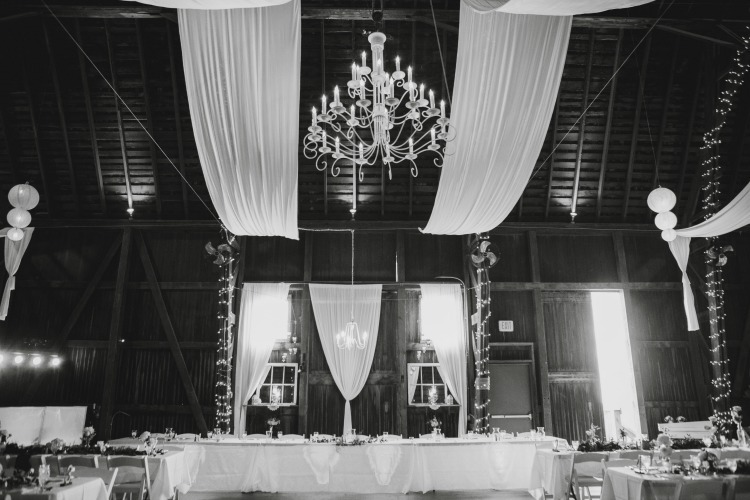 The chandelier, fabric swags and lights were probably my favorite thing about the venue, and they were included. We didn't need to put up anything! If you are a western/central NY bride to be, I highly suggest checking out Partyman Catering and their venues. I think they are so worth the price, and they are fabulous to work with!